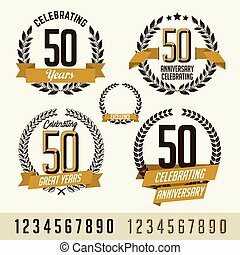 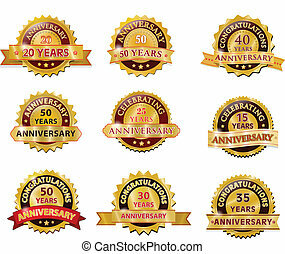 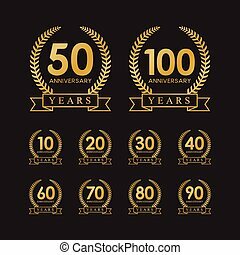 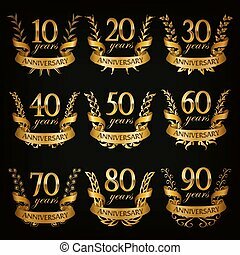 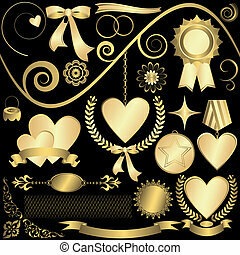 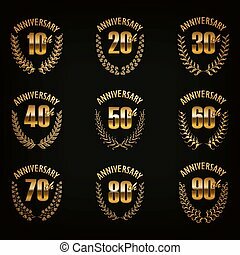 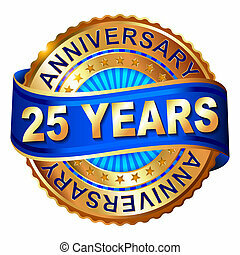 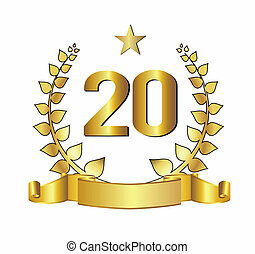 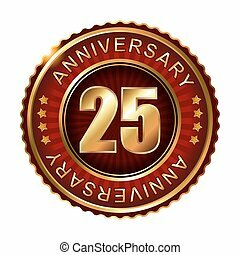 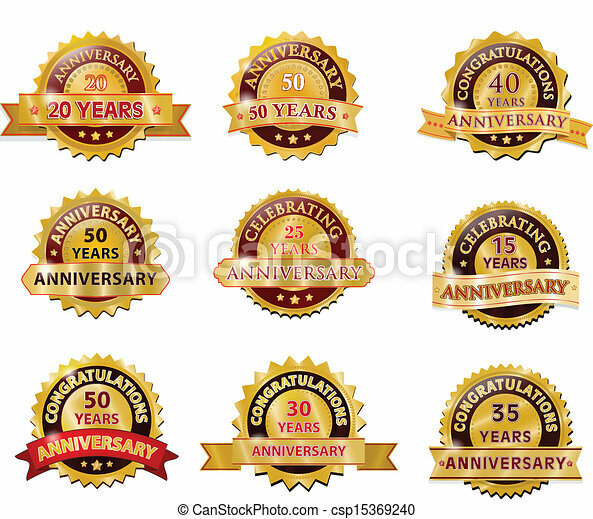 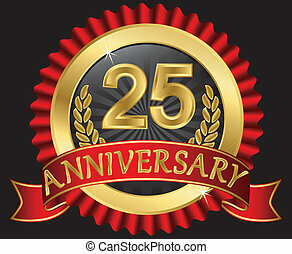 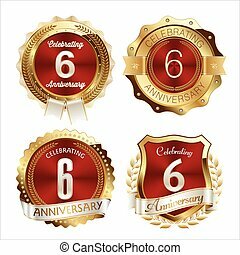 Set of Anniversary Gold Vector Elements. 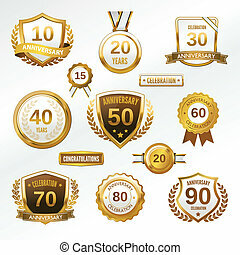 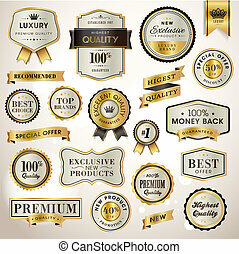 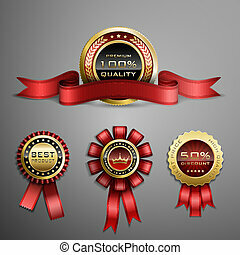 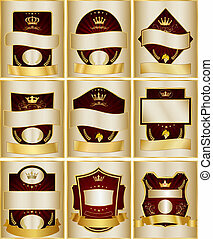 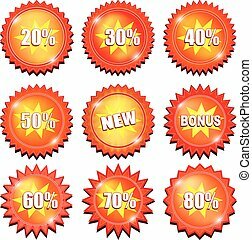 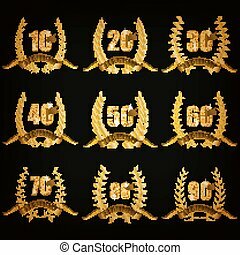 Set of gold anniversary badges with laurel wreaths, numbers. 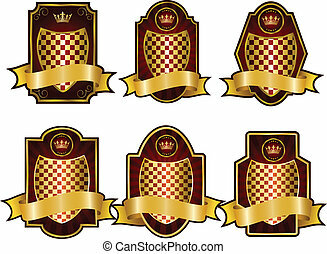 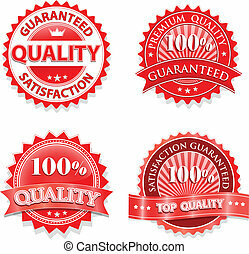 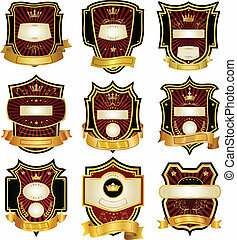 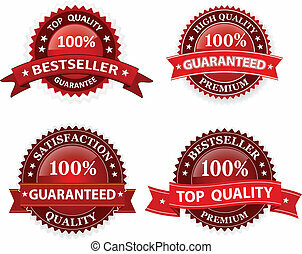 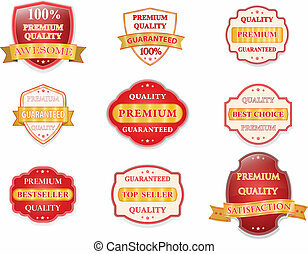 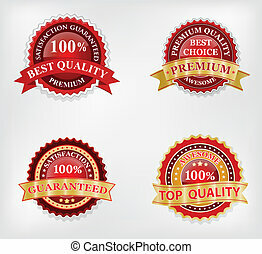 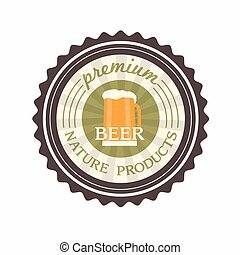 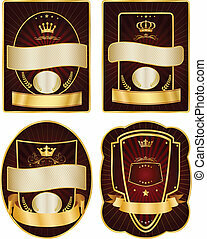 Decorative emblems of jubilee on black background. 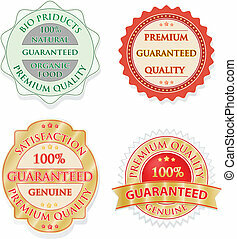 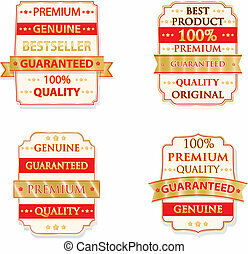 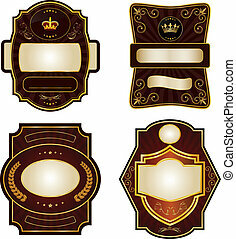 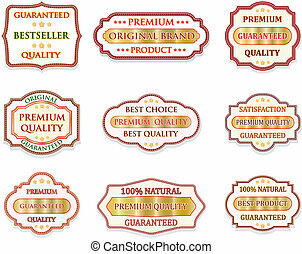 Filigree elements, frames, borders, icons, logos for web, page design in vintage style.